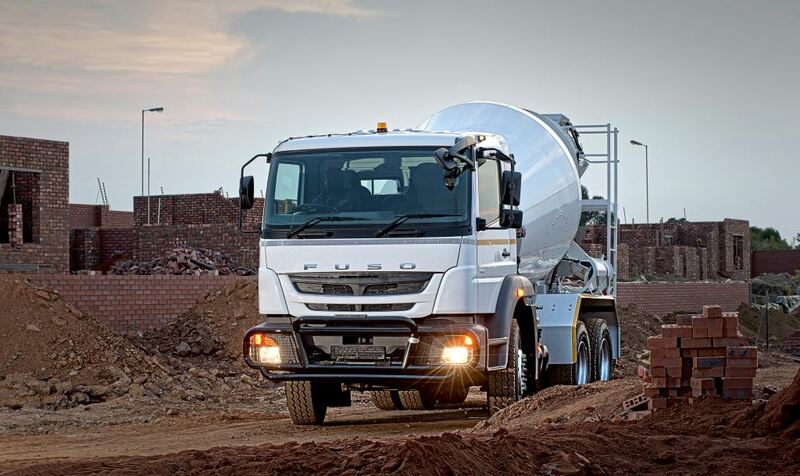 FUSO Trucks Southern Africa’s entry into the construction sector was heralded in last year with the launch of the FUSO FJ26-280C. This workhorse ticks all the necessary boxes required in this demanding sector including a 9-speed transmission with a crawler gear as well as a Power Take Off (PTO) as a standard feature. 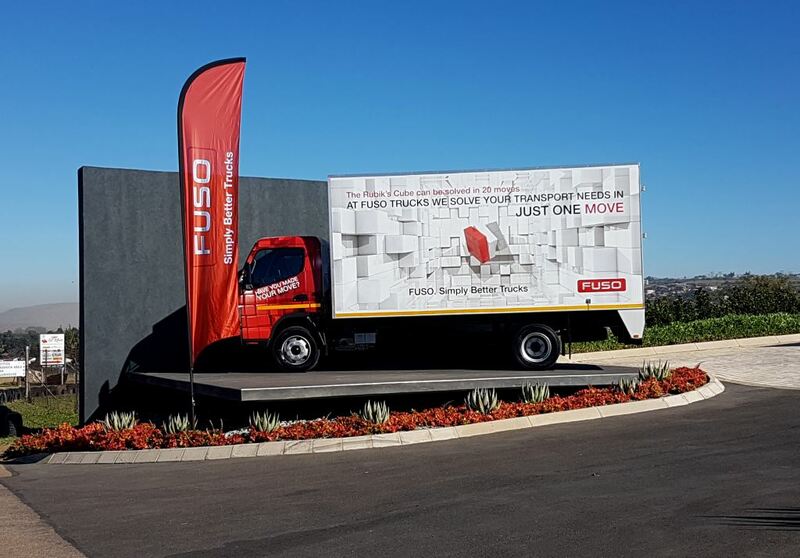 While FUSO Trucks is a huge brand globally operating as it does in 166 markets and notching up sales of over 165 000 units in 2017 alone, it is true to say that the brand has essentially operated under the radar in South Africa. That is now set to change says Ziyad Gaba, head of FUSO Trucks Southern Africa, as he and his team set off to reach a 10% share of the market by the year 2020. It may be a lofty ideal but Gaba is confident that the right foundations are now in place to enable the company to reach this goal. It is also well worth bearing in mind that three years ago – in 2014 – FUSO Trucks only had a 4,2% share of the market. Last year, that had risen to 6,1% – a 45% improvement over the 2014 positioning. In going forward to achieve its 2020 goal, the company has adopted a number of key elements around which its activities will be structured. These include chartering a clear sales growth path; being increasingly customer centric; embracing mobility and digital solutions to benefit operators; and showcasing the best staff compliment and leadership. The element of Customer Centricity ties in with the Vision of Daimler Trucks and Buses Southern Africa which, says executive director Jasper Hafkamp, is: “To be the Number 1 provider of mobility solutions through customer centricity.” FUSO Trucks Southern Africa falls under Daimler Trucks and Buses Southern Africa. As the word ‘centricity’ implies, what this means is that the customer occupies the central position around which all activities are geared. The customer is the pivot around which the operation swings. The sceptic may well say: “Yes, we’ve heard that from many companies but in practice, the reality is far from the promise.” And there is a base of truth to the sceptic’s view. This was borne out in a comprehensive study done by American-based Bain & Company, one of the world’s top business consulting firms, where they surveyed 362 companies to establish whether or not there was a gap between what companies perceived to be offering customers and what customers experienced in reality. The survey found that 80% of companies surveyed believed they delivered a “superior experience” to customers. However, when customers were asked, they said that only 8% were really delivering. So in other words, most companies assume they are giving customers what they want but – based on the survey results – they are kidding themselves. The survey sort of proved that some of the clever catch phrases used by businesses are, in reality, meaningless words conceived to create a shared comfort zone where all feel they are doing the right thing whereas in essence, they are just creating business-speak mumbo-jumbo that can be damaging rather than enhancing. There is often a huge ‘delivery gap’. In the case of Fuso Trucks however, the ‘customer centricity’ vision is a genuine objective that has been born out of market experience and encapsulates the core of a host of other activities that go into ensuring the customer really is at the centre of the operations. And to eliminate ‘business speak’ from reality, FUSO Trucks has come up with a new brand claim that encapsulates its intention to take the ‘difficulty’ out of buying a FUSO truck. It is, quite simply: “Simply Better Trucks”. FUSO Trucks Southern Africa’s new brand claim was born out of a vision where the manufacturer ensures that finding mobility transport solutions for operators becomes as simple as possible. In addition, the claim is built on the foundation of three key pillars: reliability and quality; value for money; and best service support. This new brand claim was born out of a vision where the manufacturer ensures that finding mobility transport solutions for operators becomes as simple as possible. In addition, the claim is built on the foundation of three key pillars: reliability and quality; value for money; and best service support. 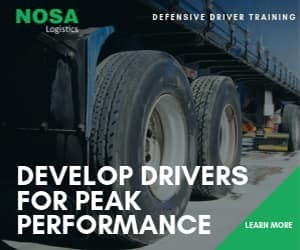 Operating in the transport arena today has become a difficult task what with constant fuel price shifts, a tight economy, increasing on road-risks such as hijacking, poor roads infrastructure, a shortage of trained drivers and many other adverse influences. The last thing a customer needs is to have this complex environment added to by his vehicle supplier. Rather, he wants a relationship that – from initial purchase through to back-up and eventual replacement – helps steer him through the web of difficulties being faced. It is this customer desire that FUSO Trucks has concentrated on under its new brand claim. Of course, it all comes to nil if the manufacturer does not have the right product to match the multiple tasks of operators and in this regard, FUSO Trucks is sitting pretty. Without going too far back into history, it was in 2014 that South Africa saw the introduction of the now legendary FUSO Canter LIFT. The acronym LIFT stands for Light-Duty International Future Truck. The Canter LIFT offered totally newly developed drivetrains and heralded in FUSO’s new 4P10 twin camshafts engine coupled to an advanced DUONIC 6-speed, dual-clutch automated manual transmission – the only dual-clutch transmission available in a commercial truck. That remains true to this day. The Canter LIFT resulted not only in a vast improvement on previous models but a vehicle that represented a new approach to the technology of transporting goods by truck. It was designed to maximise efficiency and lower the cost of ownership while being one of the most practical vehicles to own and drive. This was the start of FUSO’s revitalised drive into the market – almost a ‘rebirth’ as back in the days, the name Canter was a household name in the South African trucking market. A shift through various manufacturer stables tended to devalue the brand and the 2014 launch of the FUSO Canter LIFT did just that – lifted the brand onto a platform of prominence once again. But there was a still a lot more to do! 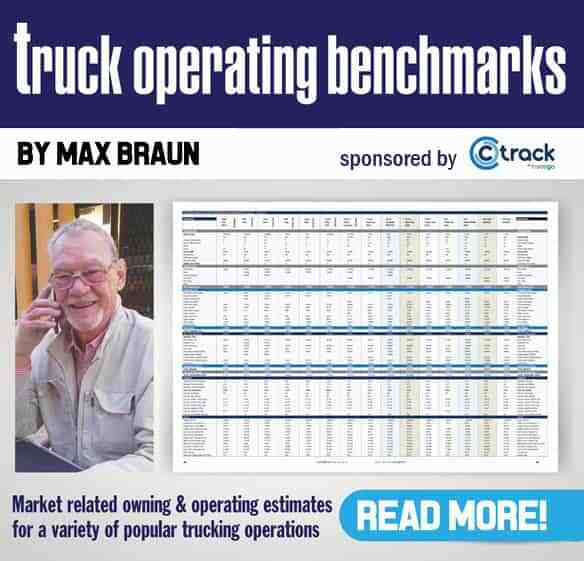 Being in the Daimler Trucks & Buses stable proved advantageous for FUSO Trucks in that it was able to draw on the multiple services offered to the other brands in the stable – Mercedes-Benz Trucks, Mercedes-Benz Buses, Freightliner and Western Star. Over the years, this has led to in-house value added offerings to clients which include the FUSO Fit, which offers competitive service and maintenance packages; flexible finance from FUSO Finance; dedicated driver training and tailor-designed trade-in solutions from TruckStore. All of these advantages allow the FUSO brand to boast competitive total costs of ownership offerings. The expansive FUSO Southern African dealer network footprint rounds it all off well by ensuring that current and prospective customers always have access to the best sales, after-sales and assistance, as well as excellent parts availability. Being part of the Daimler stable has also enabled FUSO Trucks Southern Africa to tap into the fine product offerings coming out of Daimler India Commercial Vehicles (DICV) where, under the aegis of Daimler Trucks Asia, DICV and Mitsubishi Trucks and Bus Corporation have optimised research activities, product development and sourcing. South Africa saw the first fruits of this partnership being realised in 2015 when FUSO Trucks unveiled its new medium-duty FUSO FA9–137 model, the first vehicle to be imported by FUSO Trucks Southern Africa from the Daimler India Commercial Vehicle (DICV) plant in Chennai. Based on the Canter light-duty truck, the FA9–137 incorporated a newly-developed 4D37 diesel engine boasting displacement of 3 907 cc, output figures of 100 kW at 420 Nm and a 6-speed manual transmission. This was followed in 2016 with the local launch of the FJ 16-230 – also out of the DICV stable – adding to the existing range a wide choice for various applications such as distribution, rentals, courier and small, micro and medium enterprises. A big moment came last year in May 2017 when FUSO Trucks unveiled – in grand style – its contender into the construction sector, the FUSO FJ26-280C. This workhorse ticks all the necessary boxes required in this demanding sector, including a 9-speed transmission with a crawler gear. The model also offers a Power Take-Off (PTO) as one of its standard features. 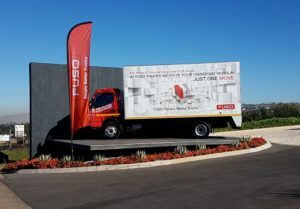 FUSO Southern Africa also used the launch to expand its contribution to the South African economy by announcing the increase of Completely Knocked Down (CKD) production of its trucks at the state-of-the-art Mercedes-Benz South Africa (MBSA) plant in East London. “We are building FUSO trucks in southern Africa, by southern Africans, for southern Africa,” said Jasper Hafkamp, Executive Director for Daimler Trucks Southern Africa at the launch. This plant is highly productive and according to a proud Gladstone Mtyoko, Divisional Manager, Commercial Vehicles, Mercedes-Benz Plant, it boasts one of the highest employee attendance rates in the world. It stands at 99.2%. The latest model to join the FUSO line-up is also the smallest model in the range. It’s the FUSO Canter LIFT FE4-130 with a gross vehicle mass of 4.9 tons. 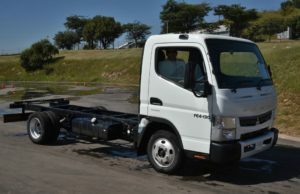 The 4×2 FUSO FE4-130 boasts a 3 litre, 96kw/3 500 rpm Euro III engine and is available in both manual and Automatic Manual Transmission (AMT) variants. Enter 2018 and not only has FUSO Trucks unveiled its new brand claim but it has also introduced to the market the FUSO Canter LIFT FE4-130, the smallest truck in the entire line-up with a gross vehicle mass of 4.9 tons. Its size makes it perfect for a wide range of operations such as contractors, dry freight, fleet operations, food services, landscaping, drop-side, public works and refrigerated goods. The 4×2 FUSO FE4-130 boasts a 3 litre, 96kw/3 500 rpm Euro III engine. It is available in both manual and Automatic Manual Transmission (AMT) variants. Seamless acceleration and smooth shifts are the norm due to the maintenance-free DUONIC dual wet clutch in the AMT version. As an added benefit, the FUSO FE4-130 is equipped with fleet management solutions allowing operators to install any telematics systems of their choice. The Canter TD range has also taken on a new look having received a cosmetic facelift which ensures its appearance matches its unparalleled performance. Among others, some of the enhancements include a front bumper design change; standardisation of the door pocket for the driver’s seat and assistant’s seat; change of driver’s seat shape and colour; change of interior colour; change of meter design; and the addition of a floor console. The products are in place, the people are in place, the value-added services are in place. For FUSO Trucks Southern Africa, there is no doubt that its time has come.